My ostomy is not as good as the original equipment, but I get to live! 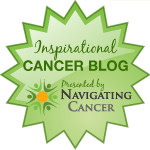 Cancer and Colostomy gave me an attitude adjustment. I appreciate life more than before. I do more of what I want, and less of what others think I should do. Early on, I resolved that after surgery I would do everything that I could do before surgery. Since then I have stretched the target, and I now do more than I did before. I didn't believe him then. I do believe him now. I am humbled and inspired by others who share their adventures & challenges & positive attitudes living bigger with their ostomies. These are some of my favourites. There are also many sites that provide excellent information and advice. Here are a few sites that followed Hogus and Paul in Nepal. 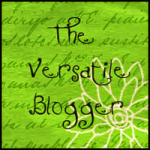 Thank you for including me among these outstanding blogs and their creators. It's a great honor. I have to give you them credit because I wouldn't have thought of mine had it not been for the wisdom of yours and theirs. 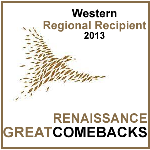 I was honored as the eastern regional recipient for the great comebacks award last year and I was so inspired reading everything on your site. Would you be willing to put my website on your links as a resource? Great website Amy. 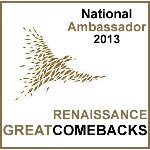 I have added you to my LINKS page as a valued and inspirational resource.